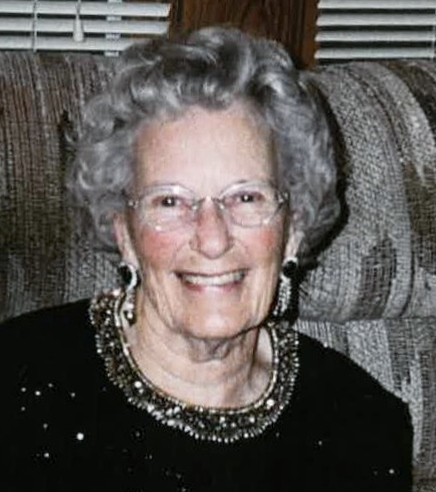 Mary Anne Dryden Quinn Lynch, a native of Poquoson, died April 2, 2019. Mary was born January 5, 1922. She graduated from Poquoson High School, earned a Teaching Diploma from Longwood University, and a Bachelor of Science Degree in Education from Old Dominion University. Before retiring, she taught in the Poquoson and Newport News School Systems for 27 years. Mary was a member of Tabernacle Methodist Church, Virginia Retire Teachers Association, Poquoson Retired Teachers Association, Poquoson Woman’s Club, and a charter member of the American Legion Auxiliary, Unit 273. She was preceded in death by her parents Wallie and Becky Dryden, her brothers Jack and Freeman Dryden, her sisters Rebecca Freeman and Charlotte Smith, and her husbands Harold Quinn and Ralph Lynch. She is survived by her son Harold Quinn, Jr. (Esther), daughters Ann Carol Jackson (Kenny) and Becky Flibotte (Leo). Her grandchildren are Michelle Peterson, Eric Jackson (Kristi), Bonnie Jackson, Shawn Quinn, Robert Quinn, Larry and Steven Flibotte. Her great grand-children are Meghan Peterson, Tyler Peterson, Reilly Jackson, Barbara Williams, Cameryn Jackson, Kiernan Quinn, Kyndal Wilgus, Avery Jackson, and Aidan Quinn. Visitation will be at Claytor Rollins Funeral Home on Friday, April 5, from 6:30 PM to 8:00 PM. In keeping with our Mother’s wishes the burial will be private. In lieu of flowers, expressions of sympathy may take the form of donations to your favorite charity. The family would also like to thank the staff at Dominion Village, especially Lucy, Miriam, Rebecca, Malinda, Doreen and Paula for their love, care and support during our mother's journey with you.